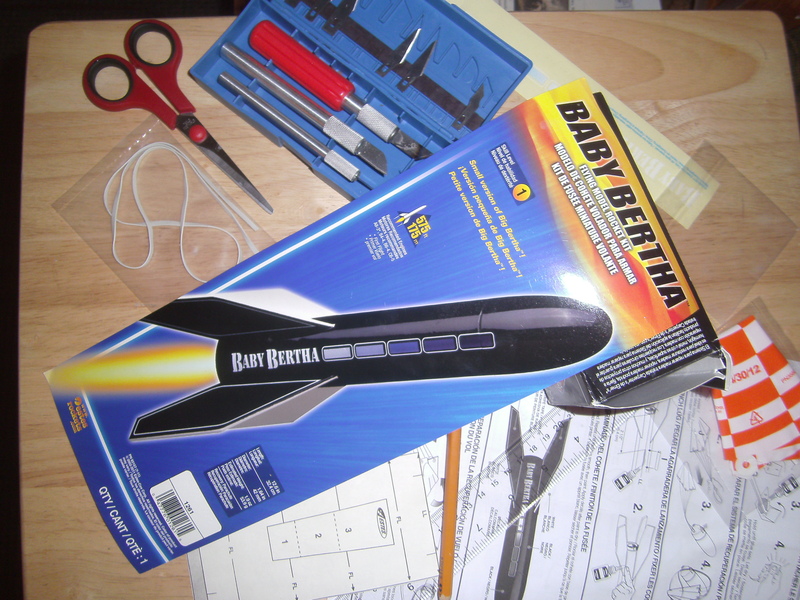 One of the things I remember fondly from my childhood was building and launching model rockets with my dad. 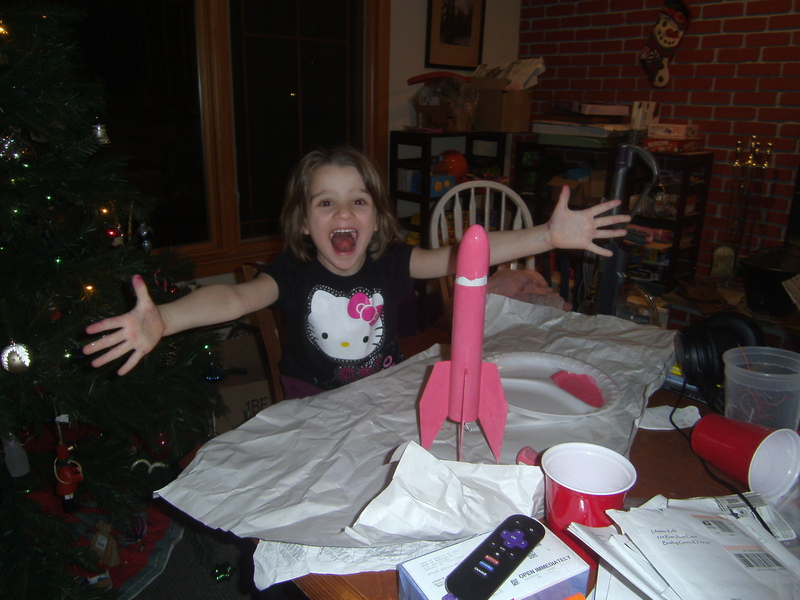 So when my son William got a model rocket as a gift from his aunt, it was really fun to get back into it. We have built and launched several rockets now. 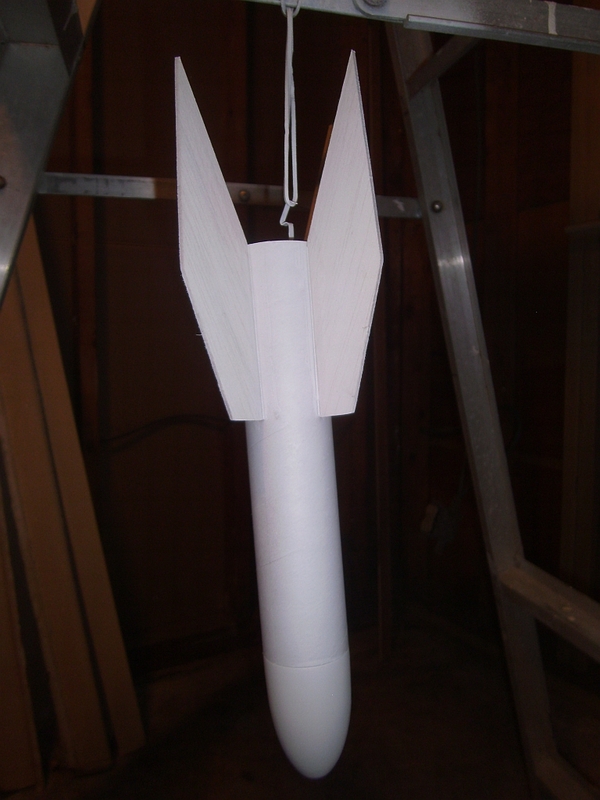 We are also working on the compressed air rocket project from MAKE Volume 15. I quickly found out that little sister Anna didn’t want to be left out of the fun. So next time I made an order for rocket parts, she got her very own. Estes is perhaps the best known brand name in model rockets. They were making them when I was a kid, and some of the same designs are still available. My son and I had already built a Big Bertha. This time I ordered two Baby Berthas, one for each kid. Anna dove into her project with five and three-quarter year old enthusiasm. I had to do a lot of the cutting and gluing, but she did her own sanding and painting. I always try to let my kids do as much of their projects as they can handle. Big brother even helped out with an expert’s touch spraying a coat of primer on the rocket. 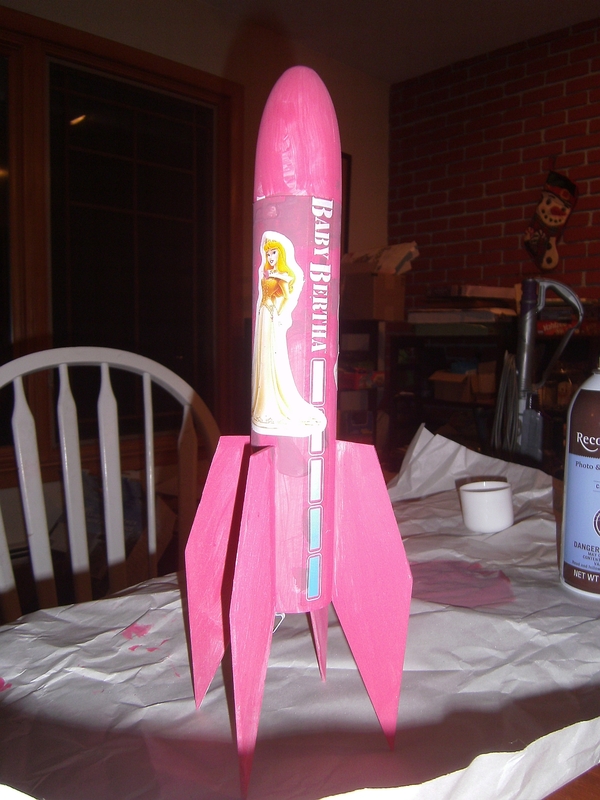 It’s an art project… it’s rocket science… it’s both! It was fun seeing how two very different children could enjoy the same hobby. William tends to be function first, form second. Anna seems to be the opposite. Both enjoyed the challenge of making something that could blast off into the sky. I love the personal touches Anna added while decorating her rocket. 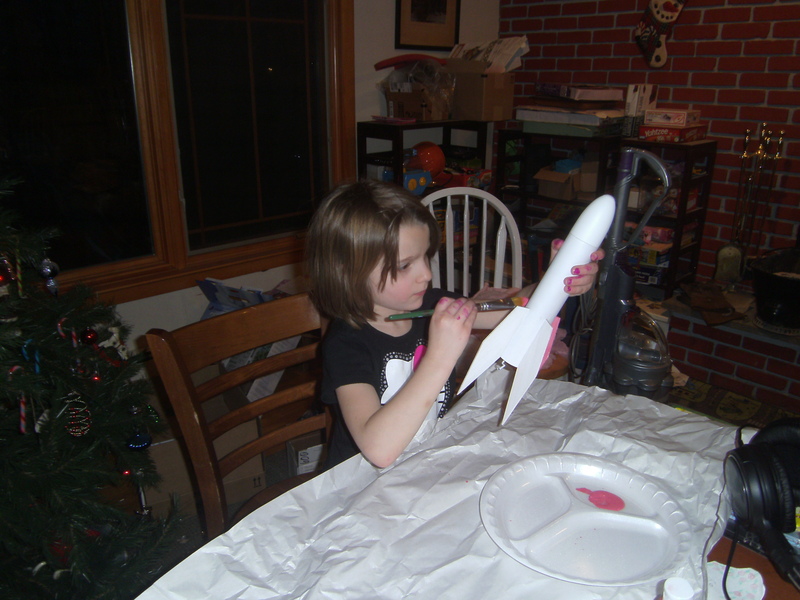 Amid all the high-tech hobbies you could do with your kids, model rocket building may seem sort of old school. However, it includes precise assembly, creative design, and the excitement of the launch. Who knows? Maybe, just maybe, you could be inspiring your child to reach higher, fly higher, and go for the stars.